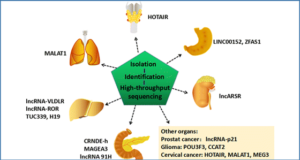 Adenosine to inosine (A-to-I) RNA editing is the most abundant editing event in animals. It converts adenosine to inosine in double-stranded RNA regions through the action of the adenosine deaminase acting on RNA (ADAR) proteins. 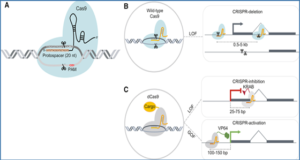 Editing of pre-mRNA coding regions can alter the protein codon and increase functional diversity. 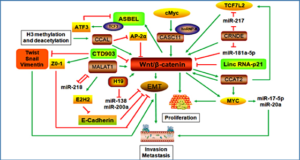 However, most of the A-to-I editing sites occur in the non-coding regions of pre-mRNA or mRNA and non-coding RNAs. 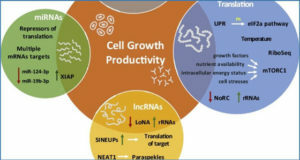 Untranslated regions (UTRs) and introns are located in pre-mRNA non-coding regions, thus A-to-I editing can influence gene expression by nuclear retention, degradation, alternative splicing, and translation regulation. 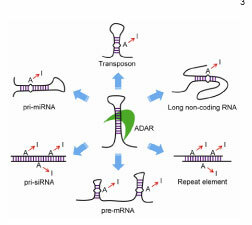 Non-coding RNAs such as microRNA (miRNA), small interfering RNA (siRNA) and long non-coding RNA (lncRNA) are related to pre-mRNA splicing, translation, and gene regulation. A-to-I editing could therefore affect the stability, biogenesis, and target recognition of non-coding RNAs. 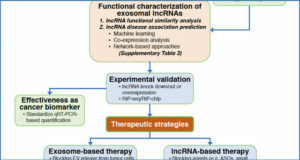 Finally, it may influence the function of non-coding RNAs, resulting in regulation of gene expression. 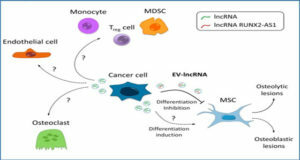 This review focuses on the function of ADAR-mediated RNA editing on mRNA non-coding regions (UTRs and introns) and non-coding RNAs (miRNA, siRNA, and lncRNA).